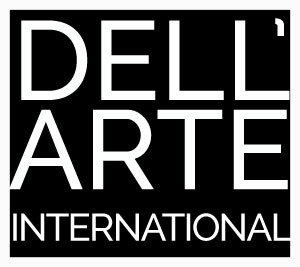 The DAI Summer Intensive is a three-week immersion in the actor-training methodology of the Dell’Arte International School of Physical Theatre. The training aims toward the creation of a dynamic theatre, in which the embodied actor plays with freedom, authenticity and visceral power within the vibrant and poetic space of the stage. This intensive and joyous engagement with the dynamics of movement is appropriate for all actors, dancers, directors, teachers, designers, and performers, with any level of prior stage experience. With Lauren Wilson, James Peck, Laura Muñoz, Sayda Trujillo, and Alyssa Hughlett. The DAI Intensives in 2015, 2016, & 2017 sold out, so enroll early to secure your spot! Physical presence, play, and the responsive body. Availability to the impulse, the partner, the physical world and the circumstance of the moment, through improvisation and ensemble movement studies. Whole body engagement with natural forms and forces via movement and gesture; foundations of the actor’s presence and resonance in the space of the stage. The stage as a mysterious and living realm, a poetic space. Classes meet 5 days a week; there will be 5 hours of class time each day, plus rehearsals outside of class. Students will work each week in small ensembles on themes assigned for a Friday laboratory showing and faculty critique. If you are arriving at the San Francisco Airport (SFO), you can take the Greyhound bus. (Bus tickets can be purchased online or at the station.) The Greyhound bus station in San Francisco is located at 200 Folsom St. Be sure to take the bus to Arcata, CA. There is a local transit called BART that can get you from the Airport to that station, and they have an online tool to see times and neighborhood maps, etc. : http://www.bart.gov/. Or you can take a taxi or Uber. A full refund will be made until four weeks prior to the start date of the Intensive. A cancellation occurring after this date (May 27, 2019), will be charged a cancellation fee of $300. Once the Intensive has started, tuition refunds are prorated, less the above cancellation fee, until the halfway point of the Intensive has passed. Once the halfway point has passed, no tuition is refunded.